My name is Kayla, but you can call me Lala. I have a family of 4 humans with 2 guinea pigs, 4 cats, and 3 little parrots. We live just outside of Washington D.C. Dismal is the other head of household, and helps me immensely when something breaks online. I have been an active pet parent since 2006, and it’s a tough but very rewarding gig. We’ve had fosters, foster failures, a rescue dog, babies, and even rats. “Stop and Eat the Flowers” is my take on making time to “Stop and Smell the Roses” only NO! TOM! GET THAT OUT OF YOUR MOUTH! They eat everything, and they enjoy everything you can take from this life. 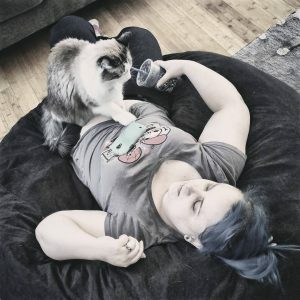 I share opinions, education, work with various companies to get you new product information and testing, helpful deals, and general musings of the happenings in a small domestic zoo.